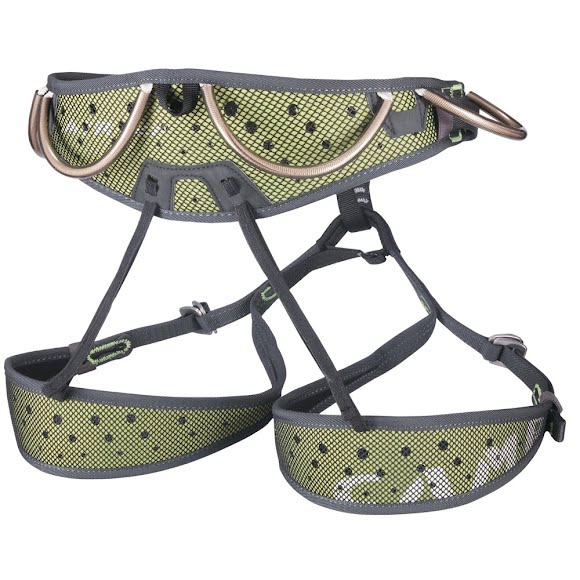 Ultimate performance meets great durability with Camp's Air CR Climbing Harness. The CR is constructed with from 2mm perforated EVA foam attached using edge-load construction to soft polyester mesh on the interior and durable nylon mesh on the exterior. The Air CR is an excellent choice for nearly any kind of light and fast climbing including advanced alpinism and ice climbing. Ultimate performance meets great durability with Camp&apos;s Air CR Climbing Harness. The CR is constructed with from 2mm perforated EVA foam attached using edge-load construction to soft polyester mesh on the interior and durable nylon mesh on the exterior. The Air CR is an excellent choice for nearly any kind of light and fast climbing including advanced alpinism and ice climbing.